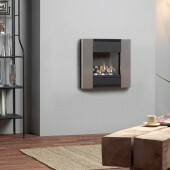 Flueless Gas Fires There are 12 products. What Are Flueless Gas Fires for Fireplaces ? 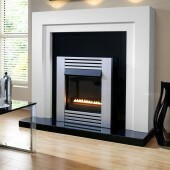 Flueless Gas Fires are a perfect option for someone who Doesn't have a chimney. The Fires are 100% efficient, and operate by cleaning the exhaust from the burner, but with no loss of heat up the chimney! Available in a large Range of types, and Sizes. No Chimney ! No Problem ! 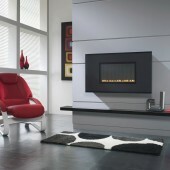 Flueless Gas Fires for Fireplaces sit into a mock firpelace fitting situation. 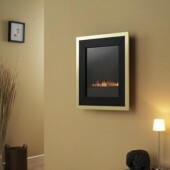 What Are Flueless Wall Mounted Gas Fires? 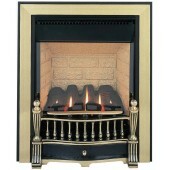 Flueless Gas Fires are a perfect option for someone who Doesn't have a chimney. The Fires are 100% efficient, and operate by cleaning the exhaust from the burner, but with no loss of heat up the chimney! Available in a large Range of types, and Sizes. No Chimney ! No Problem ! Flueless Wall Mounted Gas Fires are simply are fitted by hanging on the wall and fitting ventilation as required to the room. 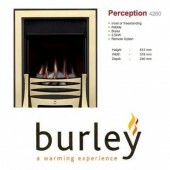 Flueless Wall Gas Fire Burley Acumen 4111 Remote Controlled Inset Flueless Fire. Wall Mounted Flueless Gas Fire with Natural Stone Panel. Ekofire TGC15090.